This Upgrade Assurance promotion is valid largely worldwide* for all commercial, education, government, and volume customers, and is good for individual applications as well as suites. It includes most current CS products (but not all – Acrobat, Flash Catalyst, Flash Builder, Con­tribute, and OnLocation individual products are excluded – although suites containing them are covered). The free upgrades are definitely included for all new orders of Photoshop CS5 and Illustrator CS5, and CS5.5 versions for all the rest. The “grandfather” offer begins today and expires on May 6th, which could give somewhat of a confirmation on the expected CS6 shipping date… After all, it wouldn’t make much sense to stop the offer and flow of orders before the new version became available. 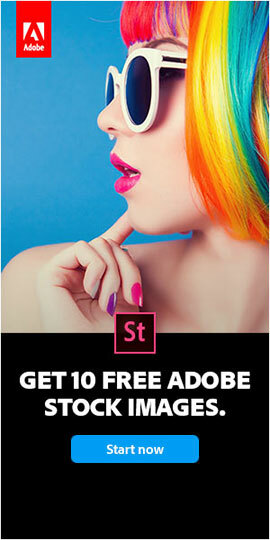 Then, within ten days of the Creative Suite 6 release†, customers will receive an email with instructions and a unique coupon code to receive the one-time free upgrade (download version) to the equiva­lent CS6 product. Full CS6 product support and free updates/fixes are included, as with all purchases. So the advantages here are threefold: (1) you get current software available for immediate download, (2) you will receive a more mature release if you prefer and can move up later at your leisure, and (3) you save money by winning a lower upgrade cost (e.g., from CS2, CS3, CS4, or CS5.0), because you’re buying fewer steps to go up. For example, you’ll save almost 50%(!) by moving from CS5.0 Design Premium to CS5.5 today (with a gratis upgrade later), than to go from CS5 to CS6 after this offer expires… If you wait it will cost you more! And with Adobe’s Three Versions Back Upgrade Policy, present owners of CS2 will not even be eligible to upgrade to CS6, except temporarily here via this offer while it lasts… So really this is the last chance to upgrade for anybody still running CS2 tools. With this new Creative Suite Upgrade Assurance Program, you no longer need to worry about purchasing the latest version as you’ll receive a complimentary upgrade to CS6 upon release. You get tomorrow’s software at today’s prices, with the best of both worlds: buy or upgrade to CS5 to use now, and then later get a free update to CS6 when you—and it—are ready. To get Creative Suite 5, just look for “Can’t wait? Order the previous version now” when you order. If you want to try the software out for free first, no problem – you can download the Creative Suite 5 trial and then convert it to permanent by May 6th. — What’s the Difference Between Photoshop CS6 vs. CS5 – What’s New in Features? * Offer valid in the following stores: Europe – Austria, Belgium, Czech Republic, Denmark, Finland, France, Germany, Ireland, Italy, Luxembourg, Netherlands, Norway, Poland, Portugal, South Africa, Spain, Sweden, Switzerland, Turkey, and the UK. North America – U.S., Canada, and Mexico. Elsewhere – Australia, New Zealand, and South Africa. 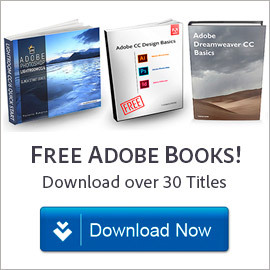 † Adobe customers will receive instructions by email no later than May 25, 2012, which will be sent to the email address you used for your qualifying order. The email will contain a unique coupon code that you’ll need to claim your complimentary upgrade by August 5, 2012. Confirmed with Adobe that a new large wave of emails went out this morning with redemption codes for a free upgrade to CS6, for those that bought CS5.5 during the grace period… Not everyone had received theirs yet, so hopefully this will go a long way towards completing the offer. For those still waiting, you can still get started right away by downloading the free CS6 trial, which will work fully for 30 calendar days until your permanent serial number arrives. Then you just enter your new license key to convert the trial to permanent. I’m one of those who ordered Creative Suite 5.5 in order to qualify for a free upgrade to CS6. 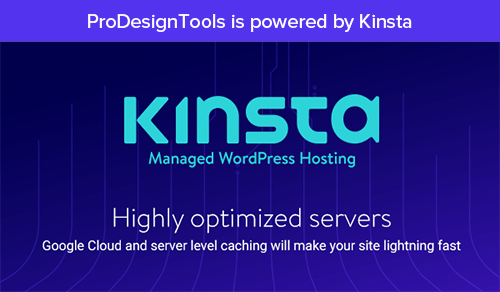 Everything worked out fine, so thank you Prodesigntools for drawing my attention to this offering! The following might be interesting to some customers like me who already had CS5 and bought CS5.5. 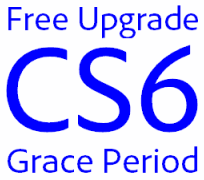 solely for the purpose of getting the free upgrade to CS6. Apparently I am entitled to a free benefit for buying CS5.5 (but not for the free upgrade to CS6). It wasn’t until after I installed CS6 that I received a pop-up from Adobe telling me that I could claim a free benefit if I updated my profile. I clicked on the link in the pop-up, was taken to my profile page where there was an image of a present with a link “Claim your benefit”. When I updated my profile, the link for claiming my benefit had disappeared. I contacted customer service, who said I was not entitled to a free benefit for CS6. That gave me an idea: I launched one of the CS5.5 applications, clicked on the “Complete/update Adobe ID” link from the Help menu, and voilà, on my profile page I was able to select a free benefit. I didn’t get the offer if I accessed my profile page from a CS6 application. Thanks for bringing it back to the fore and updating the story for CS6! Hope you enjoy your new products and please stop back anytime. Does Adobe have a specific upgrade for CS5.5 with more plug-ins? You can definitely move up from CS5.5 and the upgrade price will be the lowest available, since CS5.5 was the last release. There is no special or specific version – all versions of CS6 are the same no matter which prior version you’re upgrading from… And you can keep the same plug-ins that you have now with CS5.5 – you don’t need to upgrade or change those, as they will work with CS6 as well. I purchased CS 3, 4 and upgraded to 5 – how can I get an update to Contribute 6? Cost? Hi Clentin, when you say you purchased CS3, CS4, and CS5, do you mean the standalone Contribute application – or a suite? If the former, then you can just upgrade your Contribute to the new version 6.5. If the latter, then there is no upgrade path from a suite to an individual tool (because of the deep discounts Adobe gives when bundling the suite) – and you would have to get full Contribute 6.5 on its own. I originally purchased Premiere Pro CS4 and have since upgraded to CS5 and most recently to the CS5.5 Suite to include After Effects along with the rest of the bundle. I have just received an email stating that, since I am a CS4 licence holder, I have until January 1st 2013 to upgrade at a discount to CS6 or pay full price for the entire suite. Do I understand correctly, meaning that my next upgrade will be at full price if I don’t do it by December 31st 2012, even though I have upgraded to the CS5.5 suite? However, since you already upgraded your CS4 up to CS5, this will not immediately affect you. The most recent release you own is Creative Suite 5, meaning you’ll be able to upgrade from that to CS6 or CS6.5 without paying full price. But when CS7 comes out, with Adobe’s new policy only owners of Creative Suite 6 will be able to upgrade at that time. So this change could affect you in a similar way if you don’t already own CS6 or CS6.5 by then. 1. If I did not upgrade from CS4 to CS5 on the way to CS6, I am now essentially being charged for that upgrade to CS5 which I never had use of anyway. Is this even legal? 2. If I don’t hurry up and upgrade before the end of this calendar year, I’ll be charged full retail price for CS6. Cripes. They could have at least gave until the first week of 2013 to be able to put it on next year’s tax return. 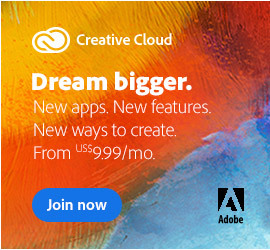 Hey there Toonces, up till now Adobe has had a Tiered Upgrade Pricing Policy, whereby customers who upgrade more frequently pay less than those who skip releases… That’s why the older the version that you have, the higher the price to upgrade to CS6. Adobe’s upcoming change in upgrade policy that affects current owners of CS4 and CS3 was originally announced over a year ago, and then revised back in January 2012, and is now set to go into effect starting in 2013. So one could say that at this point, it’s been out there a while. Naturally most folks wish the policy weren’t changing, but arguably it was pretty generous before compared with other software companies. Hope that explains a little more of the background and details on the policies. Any information is totally appreciated.. I am an artist and I tried a friend’s and fell in Love!!! Welcome Michael, CS5 is actually outdated now and Adobe no longer sells it… CS6 is the latest-and-greatest release and that’s what we recommend – especially because trying to find an older version is hard, risky and unsafe. 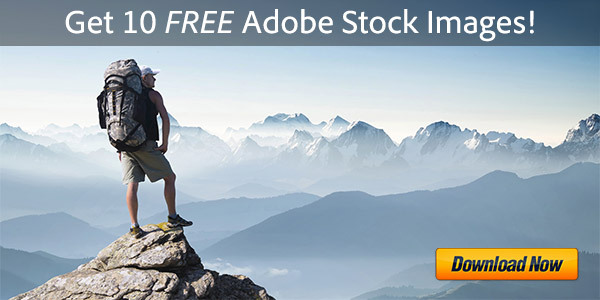 To get CS6 just visit Adobe’s online store – it’s available as a full version or as a low-cost monthly subscription. You can also get all Creative Suite 6 applications (and a lot more) as part of the Creative Cloud, which is more affordable for many folks. Lastly, if you want to try and use it on your own computer before purchasing, just download the free 30-day trial.